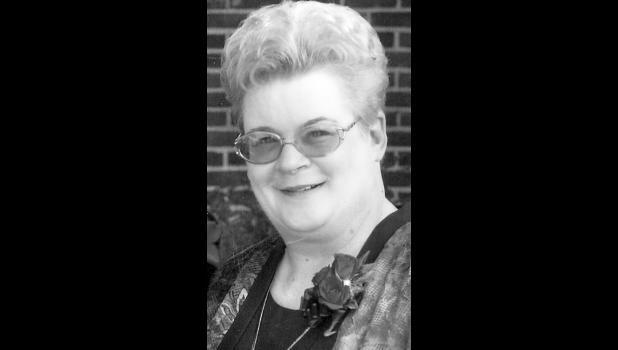 Connie L. Schlodder, 66, of Holton, passed away Saturday, Feb. 10, 2018, at her home. She was born Nov. 24, 1951, in Holton, the daughter of Dean Campbell and Betty (Campbell) Moser. Connie attended Holton High School, graduating in 1969. After high school she attended Stormont-Vail School of Nursing, where she received her Registered Nursing degree. Connie worked as an RN for the Cardiology Consultants in Topeka for more than 20 years. She also worked at Medicalodges Jackson County in Holton. She was a member of First United Methodist Church in Holton, the Order of the Eastern Star and Job’s Daughters. On June 30, 1978, Connie married Alan Schlodder in Holton. They shared more than 35 years of marriage before Alan passed away on March 31, 2014. She was also preceded in death by her father, Dean Campbell; and by her stepfather, Dr. Ross Moser. Survivors include her mother, Betty Moser of Holton; her sons, Kyle Schlodder (Crystal), Johnathan Schlodder (Kristel) and James Schlodder all of Holton; her eight grandchildren, Kaitlynn, Abigail, Tristan, Carter, Addison, Mickenzie, Breckon and Mason; and her stepsisters, Colene Gutierrez of Holton, Lorene Gakle of Holton, Kathlene Welch of Aurora, Colo., and Marlene Bizub of Colorado Springs, Colo.
Funeral services will be held at 10:30 a.m. Thursday, Feb. 15 at Mercer Funeral Home in Holton. Family will greet friends from 6 p.m. to 7:30 p.m. Wednesday, Feb. 14.